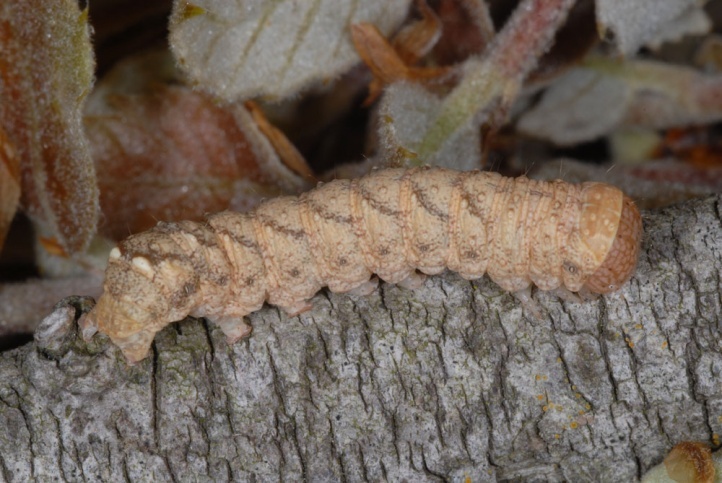 The caterpillar lives on Quercus species (oak). 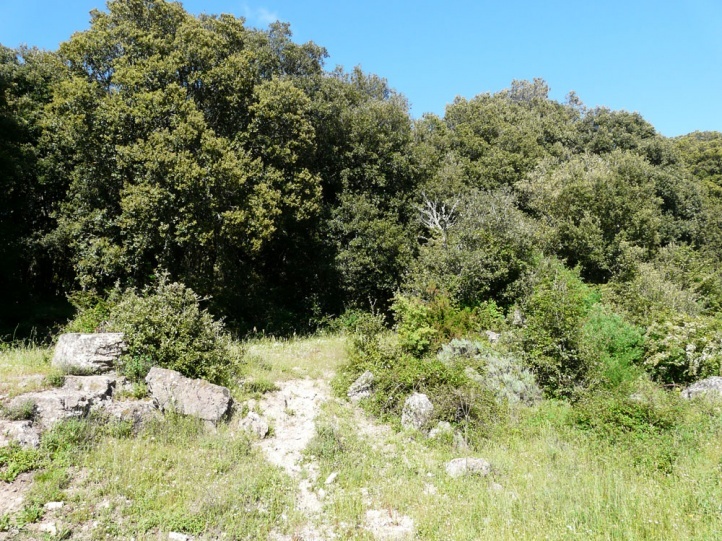 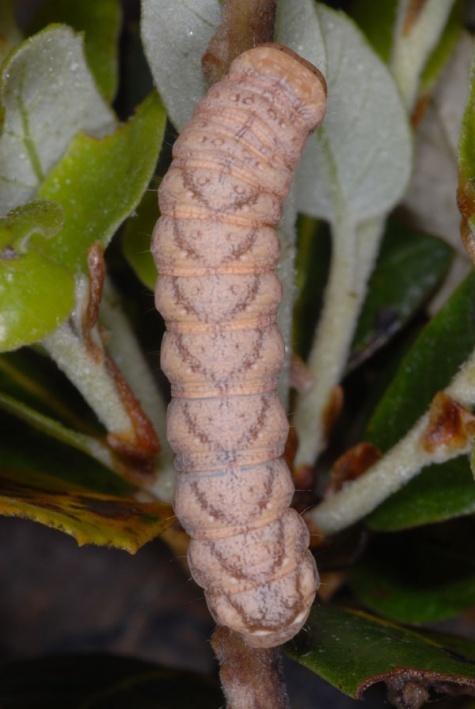 I found it in Sardinia on holm oak (Quercus ilex). 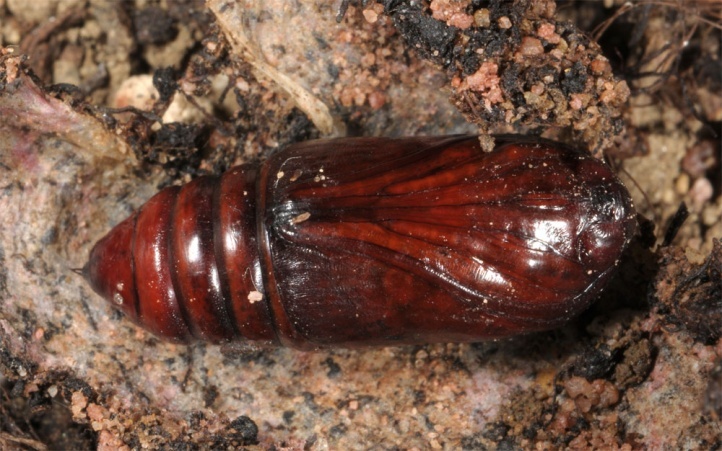 Jodia croceago inhabits clear, warm oak forests. 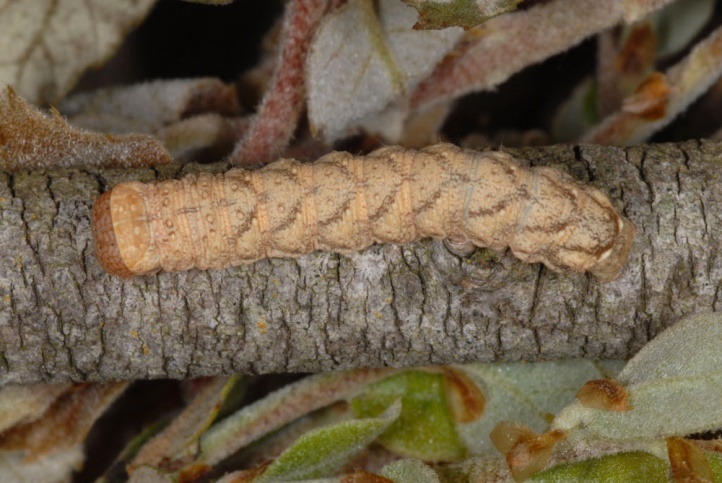 I tapped the caterpillars from the lower branches of medium old holm oaks in Sardinia in the Montiferru area at 1000m above sea level. 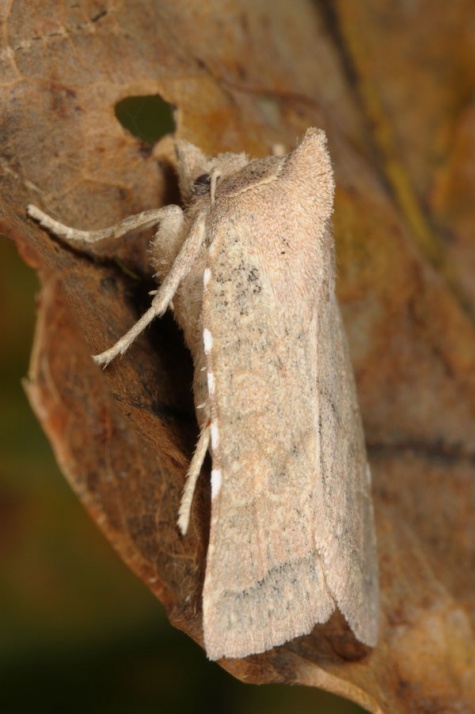 The moths fly hibernating from mid-September to early May and lay their eggs in the spring. 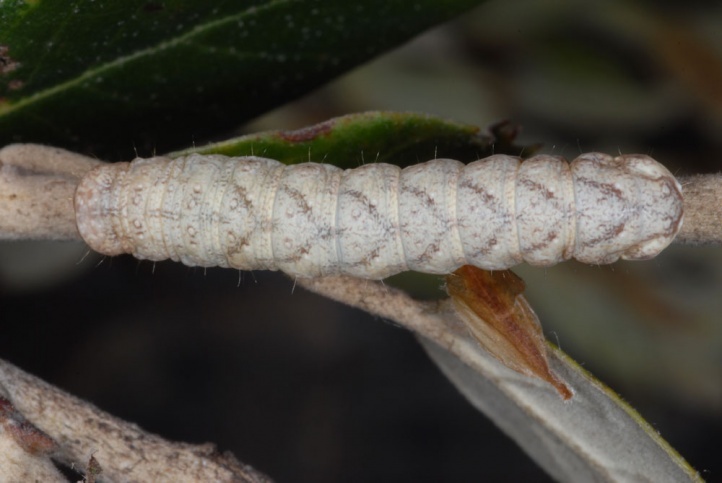 The caterpillars live from April to June and then construct their cocoons in the upper soil. 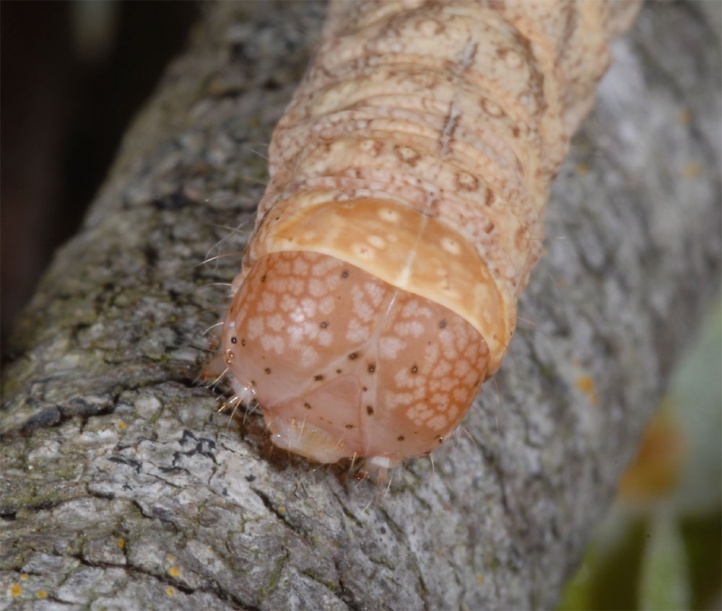 In these they rest for a few weeks as prepupa until they pupate finally in August. 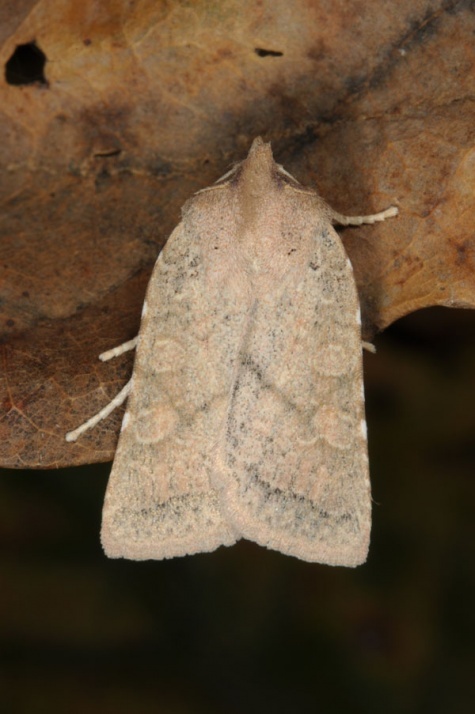 Jodia croceago is endangered especially on the northern edge of their distribution by converting light, warm oak forests in dark spruce, beech or maple monocultures and similar measures, and has been already eradicated in many places. 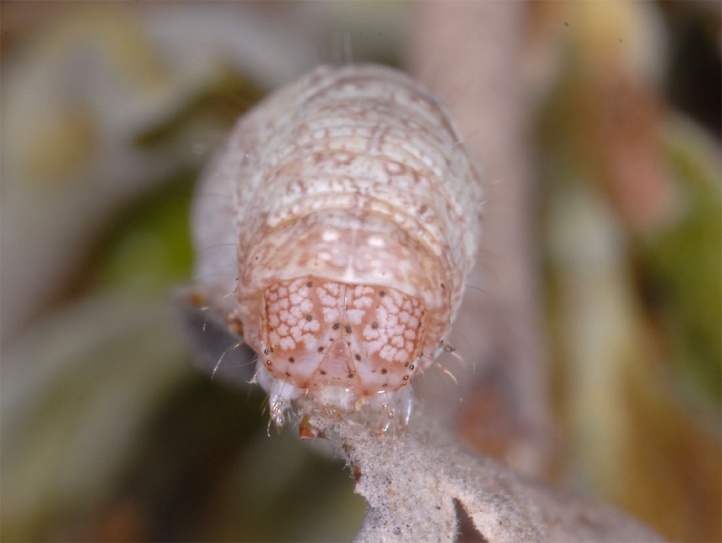 In the Mediterranean region, Jodia croceago is still more common. 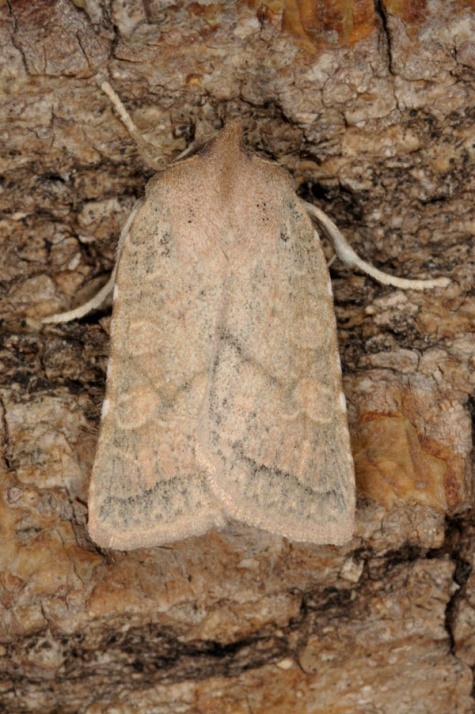 Jodia croceago occurs from north Africa across south and Central Europe to the Middle East (Iraq). 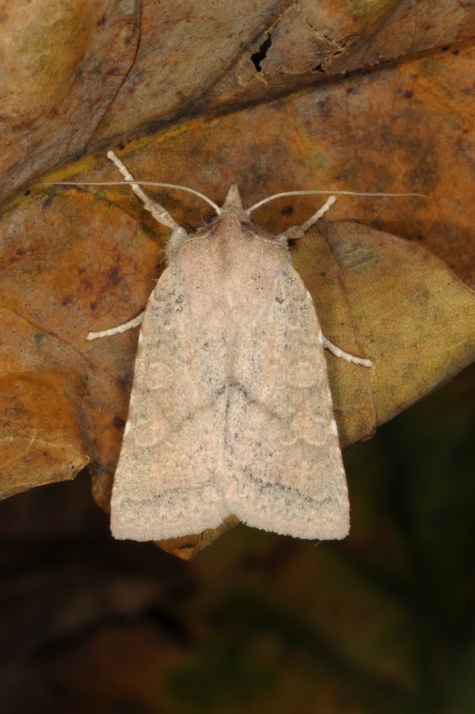 In Central Europe Jodia croceago is already extinct in many places and occurs or better occurred about to England and northern Germany.